Circadian lighting is the technology of programming the intensity and color temperature of the light delivered by a luminaire to suit the Circadian Rhythm of human body. It is also know as human-centric lighting. The average daylight in North America is roughly represented by CIE Standard Illuminant D65, and it comprises both direct sunlight and the light diffused by a clear blue sky. It clearly shows that the blue wavelength has the peak spectral power compared with other wavelengths. 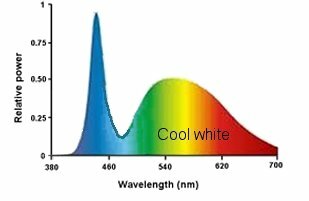 The blue wavelength emitted from a cool white LED lamp also exhibits a peak spectral power than other color within the light spectrum. Medical studies show that the light intensity and blue wavelength suppress Melatonin secretion. Melatonin is a hormone, which creates the Circadian Rhythm (sleep-wake cycle) and helps people sleep. Higher level of Melatonin makes people sleepy, while lower level makes people alert. Thus it is more beneficial for the body to have brighter light with cool white color (containing more blue wavelength) in the daytime, while dimmer light with warm white color (containing lesser blue wavelength) may be used in the evening. 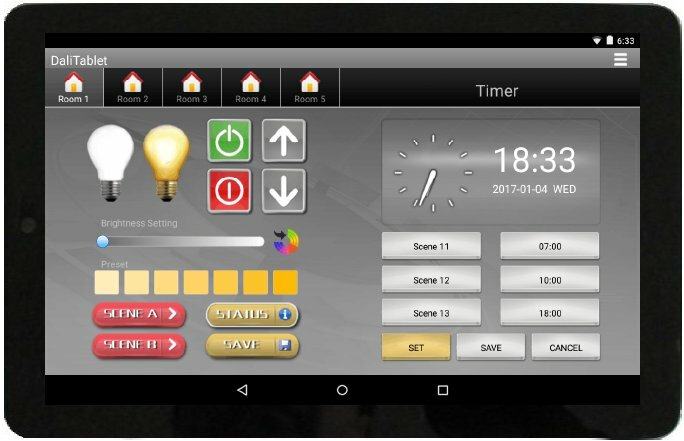 The Timer function of DaliTablet is especially suitable to schedule the light intensities and color temperatures in accordance with the user's desired Circadian Rhythm. Three scenes are set within a 24-hour interval by DaliTablet shown in the photo at the left, and its settings are shown in the below table. Brighter light with cool white color (containing blue-rich color wavelength) is scheduled after waking up in the morning. 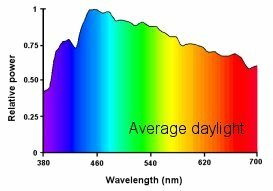 Neutral white color (containing more red color wavelength) is scheduled in the afternoon, and dimmer light with warm white color (containing lesser blue color wavelength) is scheduled in the evening.